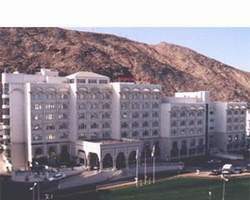 Haffa House hotel in Muscat, Sultanate of Oman, is part of the Shanfari Group and has been created with the businessman in mind. The Hotel contains a total of 120 rooms inclusive of 37 suites with all the comforts desired. 120 individually air-conditioned rooms with satellite color TV, international direct dial telephones, internet access, minibars, safe deposits boxes etc.
" ADSL and Wireless Connection Available"
Beauty Salon, Rent-a Car, Tour company that organizes tours anywhere in Oman, Cyber Café etc. Massage is an effective key to relaxation and is very beneficial to your health. We offer thai and Swedish Massage.